Behind it frequently lay the belief that a woman’s reproductive capacity literally exhausted her: such a poor creature was ill, likely as not, simply from attempting to do more than her biological nature could support. Dr Silas Weir Mitchell regarded hysteria and other related conditions to be so prevalent in the female population of late nineteenth century America that he once wrote ‘The man who does not know sick women does not know women.’ The gendering of such a wide spectrum of symptoms as being essentially a consequence of a woman’s reproductive capacity led, in turn, to what appears, from a twenty-first century perspective, to be a quite blatant sexualisation of modes of treatment. It is in this context that the reader should understand the narrator’s ‘slight hysterical tendency.’ In her case, it is clearly being used as a diagnostic term for what a modern doctor would call Post Partum or Post-Natal Depression (it becomes clear at line 102 that the narrator has recently given birth). Gilman herself, apparently like her narrator, was never diagnosed with any ‘post partum’ condition despite the fact that she had recently given birth to her daughter Katherine. Indeed, even to speak of the category of Post Partum Depression in this period is a little misleading, though the condition was certainly recognised at the time. In the late nineteenth century, a likely diagnosis would have been ‘lactation insanity’ – a division of the wider category of ‘puerperal insanity’, a malady regarded as so prevalent in the mid-to-late nineteenth century that it accounted for ‘at least 10% of female asylum admissions.’ At the time Gilman wrote The Yellow Wall-Paper , however, ‘puerperal insanity’ was beginning to be regarded as something of a medical myth. By 1918, diagnoses of the ‘condition’ had almost completely disappeared. 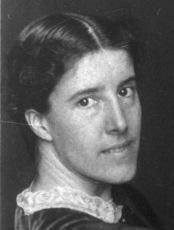 Doctors – particularly gynaecologists – had, in the decades prior to the period in which Gilman wrote her story, so emphasised the connection between a woman’s mental health and the condition of her uterus that the end of the nineteenth century saw the start of a reaction against this – spearheaded to a significant extent by the first female physicians. In treating his wife’s ‘mania’ outside the immediate context of ‘puerperal insanity’, John was, in fact, following the more forward-thinking medical views of the period. See the Introduction, however, for a more general consideration of the significance of Gilman’s treatment of this aspect of her narrative.